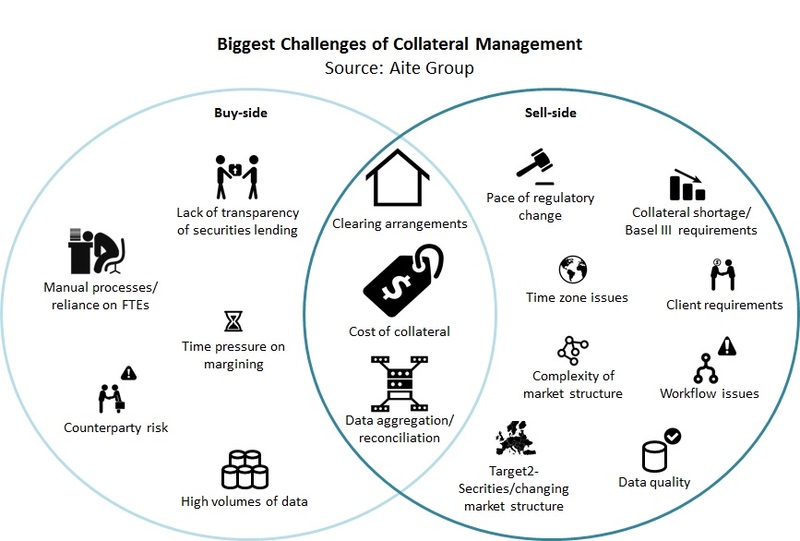 Collateral management moves onto the front office's radar. London, 25 February 2015 – The collateral management function has become a much higher priority for technology investment over the last couple of years. The 2013 introduction of mandatory clearing for over-the-counter derivatives in the United States and the planned introduction of equivalent requirements in Europe and Asia have contributed to the growing importance of the function. But can these market dynamics change a batch-based, back-office, and often heavily manual process into one that can support the needs of the front office in real time? This report, the first in a series of two, is based on surveys of leading market participants representing banks, asset managers, third-party administrators, broker-dealers, and hedge funds. It highlights some of the collateral management challenges buy-side and sell-side firms face in the new regulatory environment and the firms' level of technology investment in this space. This 33-page Impact Report contains 23 figures and one table. Clients of Aite Group’s Institutional Securities & Investments service can download this report.